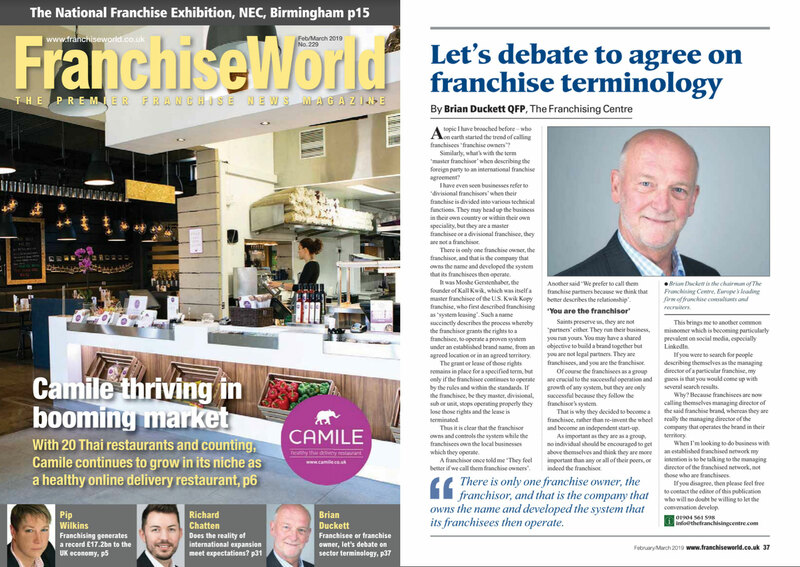 A topic I have broached before – who on earth started the trend of calling franchisees “franchise owners”? Similarly, what’s with the term “master franchisor” when describing the foreign party to an international franchise agreement? I have even seen businesses refer to ‘divisional franchisors’ when their franchise is divided into various technical functions. They may head up the business in their own country or within their own speciality, but they are a master franchisee or a divisional franchisee, they are not a franchisor. There is only one franchise owner, the franchisor, and that is the company that owns the name and developed the system that its franchisees then operate.